The utility of a notion testifies not to its clarity but rather to the philosophic importance of clarifying it. Even mistaken hypotheses and theories are of use in leading to discoveries. This remark is true in all the sciences. Koffi Maglo is Associate Professor at the University of Cincinnati and a consultant for the National Human Genome Center at Howard University. Research interests: history and philosophy of 17th- and 18th-century science and physics, Newtonian mechanics, philosophy of biology and biomedicine, ethics and population health, race, African philosophy. "Newton in the Encyclopédie of Diderot and d'Alembert: Perceptions and Debates over Newton's Theories during the French Enlightenment," in The Reception of Isaac Newton in Europe, New York/London, Continuum Press, Vol. II, 2011, chap.16 (In Press). 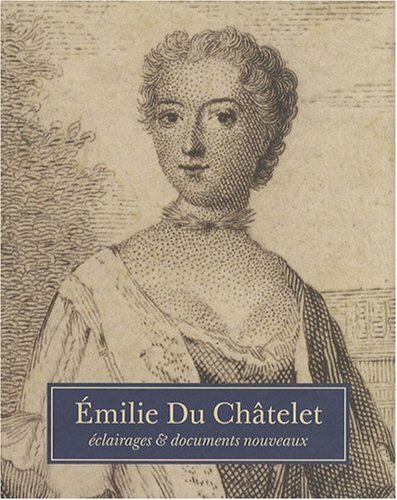 “Madame Du Châtelet, l’Encyclopédie et la philosophie des sciences,” pp.255-66, in Émilie du Châtelet: éclairages et documents nouveaux, Paris, Ferney-Voltaire: CIEDS, 2008. “Bachelard et la négation positiviste de l’imagination scientifique,” pp.30-42, in Actualité et postérité de Gaston Bachelard, Presses Universitaires de France, 1997. 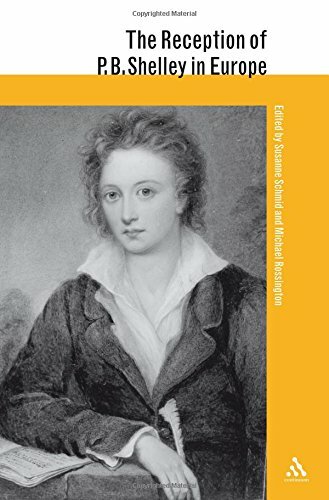 ​​“Newton and the Newtonians: Changing Perspectives in the History of a Scientific Episode,” invited by Perspectives on Science, MIT Press, (Forthcoming). “Researching vs. Reifying Race: The Case of Obesity Research,” with Lisa Martin as a co-author, pp.111–43, in Humana.Mente: Journal of Philosophical Studies, vol.22, 2012. “Group-Based and Personalized Care in an Age of Genomic and Evidence-Based Medicine: A Reappraisal,” pp.137-54, in Perspectives in Biology and Medicine, The Johns Hopkins University Press, vol.55:1, 2012. “The Case against Biological Realism about Race: From Darwin to the Post-Genomic Era,” pp.361-90, in Perspectives on Science, MIT Press, vol.19:4, 2011. “Genomics and the Conundrum of Race: Some Epistemic and Ethical Considerations,” pp.357-72, in Perspectives in Biology and Medicine, The Johns Hopkins University Press, vol.53:3, Summer 2010. “Black/White Disparity in Self-Reported Hypertension: The Role of Nativity Status,” pp.1148-62, co-authored with Borrell LN, Crawford ND and Barrington DS, in Journal of Health Care for the Poor and Underserved, The Johns Hopkins University Press, vol. 19:4, November 2008. “Force, Mathematics and Physics in Newton’s Principia: A New Approach to Enduring Issues,” pp.571-600, in Science in Context, Cambridge University Press, 20:4, 2007. “The Reception of Newton’s Gravitational Theory by Huygens, Varignon, and Maupertuis: How Normal Science May Be Revolutionary,” pp.135-69, in Perspectives on Science, MIT Press, 11: 2, 2003. “Commentary on the Fulani - History, Genetics and Linguistics, an Adjunct to Hassan et al. 2008,” pp.1-3, co-authored with Keita S.O.Y., Jackson F.L.C., Borgelin L.F.J., in American Journal of Physical Anthropology, 2010. Koffi N. Maglo is Associate Professor at the University of Cincinnati. He is also a consultant for the National Human Genome Center at Howard University. His research interests are: history and philosophy of science, Newtonian mechanics, philosophy of biology and biomedicine, ethics and population health, race, history of 17th- and 18th-century physics, African philosophy. Prof. Maglo holds BAs in Philosophy and in Education from the University of Lomé in Togo. He also earned MAs in Philosophy and in Education, as well as the PhD in Philosophy (1998), from the University of Burgundy in France. He did his postdoctoral studies at Virginia Tech in the US. His work spans multiple eras, issues, and disciplines. Prof. Maglo has published on Bachelard and positivism and on Kuhn and Newton. He published on the structure and developments of Newtonian mechanics and its reception across European scientific institutions. His publications also include essays in recent French philosophy of science and on the French Enlightenment. In the area of bioethics and philosophy of biology, his work focuses particularly on issues related to population stratification concepts in genomics and their moral permissibility in evidence-based medicine. At a more theoretical level, his research in the history of physics and in the philosophy of biology deals with questions about the reality, validity and utility of scientific notions. In 2005, he joined the Faculty at the University of Cincinnati as an Assistant Professor. He is a principal investigator on a collaborative research project on race-based therapies in clinical cardiology. The project, "BiDil in the Physician-Patient Relationship," won a 2010 Research Ethics grant award from the Center for Clinical and Translational Science and Training at the University of Cincinnati. Prof. Maglo has held visiting posts at Moravian College, at Pennsylvania State University, University of Pittsburgh, and at Virginia Polytechnic Institute. From 2003 to 2005, the Department of Linguistics and Philosophy at MIT hosted Prof. Maglo as an MLK Visiting Professor. During his stay he conducted research and co-taught a course with Prof. Sally Haslanger titled "Classification, Natural Kinds, and Conceptual Change: Race as a Case Study" (24.892).